Very often we forget how grateful we should be for God’s grace and the lives we lead. Sometimes we need a reminder about all those things to be thankful for in our everyday lives. We are fortunate to be born with able bodies and an agile mind that allow us to do everything we possibly want to. One thing however, that everyone is born with, whether they are able bodied or not, is PURPOSE! We, at Select CITYWALK believe that beyond disabilities there are infinite possibilities. The 3rd of December is commemorated worldwide as UN international Day of persons with disabilities. 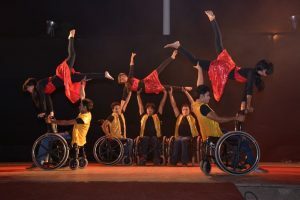 In an endeavour to make it an occasion for awareness, empowerment and inclusion, the Ability Festival showcased the ability and productivity of persons with disabilities in all walks of life-education, skills development, industrial production, sports activities and cultural performances. 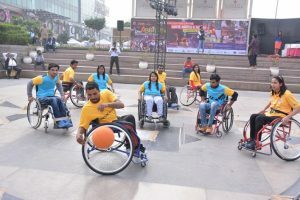 This empowering initiative was fuelled by UNIC, The Cradle and Select CITYWALK as they organised a 4-day (Dis)Ability Fest from the 3rd–6th December 2015 at our Shopping Center. Impairment is not the biggest handicap of disabled persons, the attitude of society is.We believe the first step towards inclusion is awareness. Over the course of the 4 day fest, we provided a rare opportunity for job and career counselling for youth with disabilities. Renowned placement agencies and philanthropic organisations participated in the programme to help disabled persons choose a career, get employment, identify the tools they needed to be productive on the job, and understand the right to be evaluated on their abilities, not disabilities. In addition to all this we initiated a feeling of fun and frolic with a showcase of sports activities, cultural performances and an opportunity for children to excel at competitions. They competed in painting, sports, Rangoli and poetry competitions with simultaneous training of these activities by accomplished artists in these various fields. 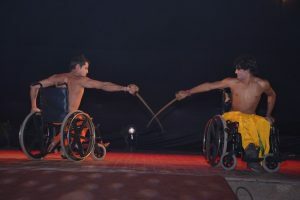 We are proud of these efforts and hope that they helped in showcasing the unlimited ability of the differently abled. Let us work towards an inclusive and accessible world!